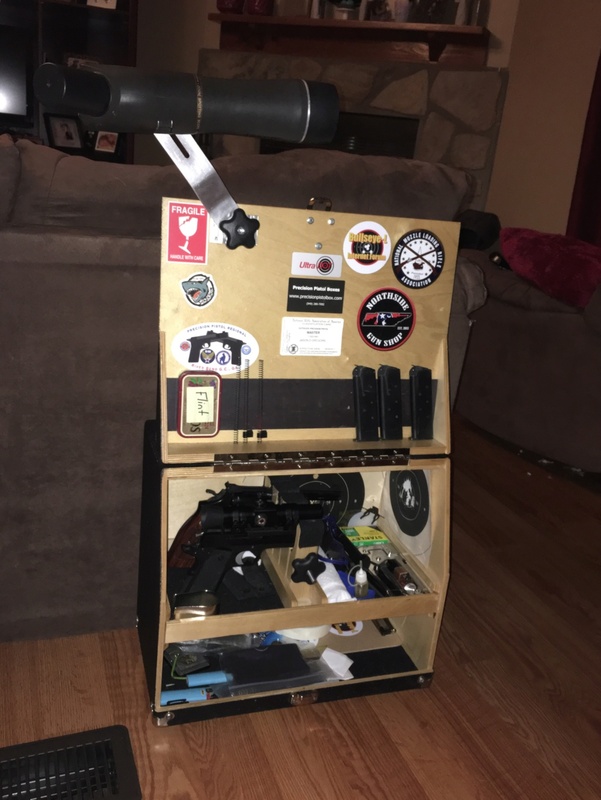 I am trying to find a pistol box and a compact spotting scope, having never used either myself, and I am not located where I can see any in person. I have read numerous posts on both to try to determine what to order on line sight unseen. I am getting some feel for what is available but one of many things that elude me is the size for a spotting scope so that it will be convenient to use mounted to a pistol box. It seems from my reading that a high power of 50X will suffice for 50 yards, but that seems to depend on lens quality. What about lens size? Should they be kept to about 50mm or are larger objective lens small and light enough? What about length and girth? I see lots of options for big bucks but I am trying to stay under $200 and the options are more limited. 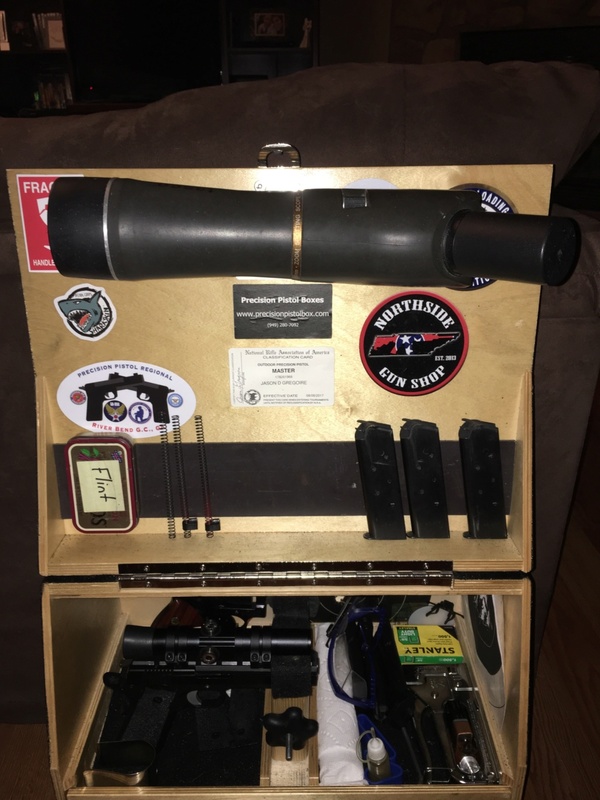 What are the general dimensions I should look for when ordering a scope to mount on a box? For a beginner I always recommend the Simmons "Blazer" Spotting Scope. It's a 20 to 60 power scope with a 60mm front lens. It's great for .22 caliber holes at 50 yards and great for 100 yards if you shoot rifle like say sighting in a hunting rifle or plinking or something. Versatile for most local ranges and uses. And very affordable. From walmart, with a tripod (tripod is cheap and junk I think but it's there) for $59.97. It is a little on the long side but it's a way better scope than what I've seen out there for more. Ive had bad luck with the Celestron models, and I've had a chance to try the Champions Choice models and wasn't impressed either. I've seen other budget scopes and again wasn't satisfied. You can get an older Bushnell used off eBay for a good deal but I think at $60, you get a great scope for the money and if you get out of shooting or decide to upgrade the scope, you don't have a lot invested in this one. It's large but it fits in the box. It's not overly heavy either. Hard to beat. Thank you very much Tim. That makes it easy for me and I found one in my local Walmart. So how do you like the scope, sjs? I"m looking for an affordable scope too. Not under $200, but CMP has the last of the 501's as far as I know and you will only buy once. Valbern67, I decided to go with something smaller and bought the Champion Choice 542. I like it very much.